Rescue Reston Arouses Grassroots Support to Save Green Spaces - Hartke Is Online! I live in a magical place. The planned community of Reston was designed nearly 50 years ago, and is a model city. Many have been attracted to live here by the eco-friendly master plan, that preserves green space and provides good habitat for many flora and fauna. Out our back windows, we see many species of birds, great blue heron, green heron, wood ducks, mallards, geese, kingfisher, hawks and eagles, including the rare great bald eagle. Our lakes are home to many species of fish, turtles and snakes. Hiking paths and bike trails, community docks and boat launch areas enable all Reston residents and their friends to commune with nature in a way that is very health promoting. Being surrounded by natural beauty and abundant wildlife, is as pleasurable, as it is educational. A grassroots effort is underway to protect our special community from aggressive over-development due to the Metro Rail (the D.C. subway) being built through our neighborhoods. Northwestern Mutual, an investor in one of our two golf courses is looking to sell the golf greens and clubhouse to residential developers. This could mean an additional 1100 homes putting a wrecking ball to the Reston Master Plan. Majestic Great Blue Heron’s habitat is threatened. Changes to the temperature of the lake, and declining quality of the water will pollute the food source for these marvelous creatures. Rescue Reston, a citizens group protesting the proposed development of Reston National Golf Course (RNGC), a South Reston golf course into medium density residential housing, is now warning that adverse impacts on watershed could be an even bigger concern. The metro-rail station which is scheduled to open in Reston in 2013 is bringing big changes to this planned community, but many residents want Reston to remain faithful to its master plan. Larry Butler, Director of Reston Association’s Parks & Recreation, wrote a memo outlining the possible impacts of development of the golf course. The Reston National Golf Course is a good neighbor. It uses ecologically sound management practices and is an Audubon International Cooperative Sanctuary. I would love to see a new owner for the golf course who would make improvements to the club house and open it as a fine dining restaurant and venue for special events. Help us Rescue Reston turtles! The streams on the Reston National Golf Course run into Lake Thoreau and Lake Audubon, two popular lakes in Reston used for recreational activities such as boating and fishing. These lakes flow into Difficult Run and the Chesapeake Bay. The lakes serve as stormwater management for the golf course and are able to handle the runoff from a “2 year storm event.” In the last 3 years, the lakes received more than the “normal” amount of runoff. The loss of permeable ground at Reston National Golf Course will increase the stress on the lakes and deteriorate the water quality, ultimately negatively impacting the Chesapeake Bay. So, while this seems like an issue that only affects Reston, everyone concerned with preserving the quality of the Cheasapeake Bay, and precious waterways all over the world, should care about this issue. No matter where you live in the world, visit RescueReston.org, or click here, to sign the petition to the Fairfax County Board of Zoning Appeals. Donate to the legal defense fund. Write letters to the Northwestern Mutual (especially if they are your insurer, you may want to mention that! ), see all sample letters on this page, How You Can Help Rescue Reston. If you live in Reston, please join us for this important meeting. The Fairfax Board of Zoning Appeals will hear public comments on the zoning appeal submitted by Reston National Management LLC. Rescue Reston will submit its comments. We encourage all Reston residents to attend this meeting so that we will make our voice heard. The meeting is now Wednesday, May 22, 2013 at 9 a.m.
Share this post in social media! Contact Rescue Reston by email, info@RescueReston.org. 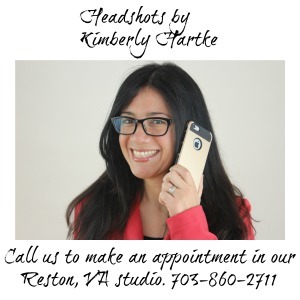 Kimberly Hartke is a featured blogger on Village Green Network, bloggers devoted to green living and healthy lifestyles. Photo Credit: Lake Audubon scenes by my brother in-law, Paul Hartke. This issue is so very important! Many move to Reston because of the green spaces. And now that they are trying to take them away – it seems like a slippery slope. Reston doesn’t need 1,000 more dwelling units on the golf course green space not to mention the environmental impact that will come. The Board of Zoning Appeals hearing date has changed to May 22, 2013. This is the second time that Northwestern Mutual/RN Golf Management have delayed the hearing.